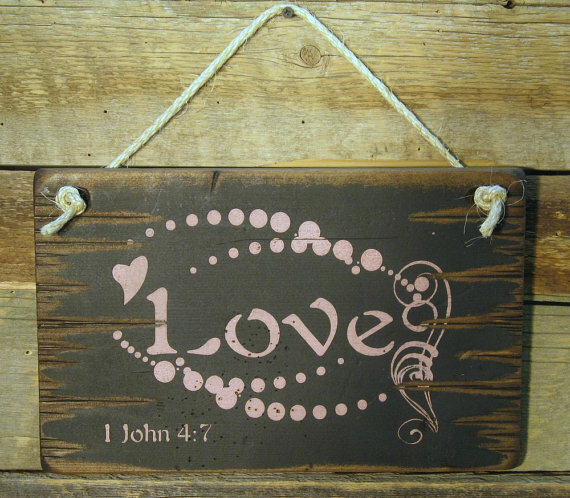 Love, 1 John 4:7. The greatest gift we are given is the ability to love! We also need to remember how much God loves us. This black background sign measures 9x14 and comes with the grass rope hanger for easy hanging. Handcrafted with pride!